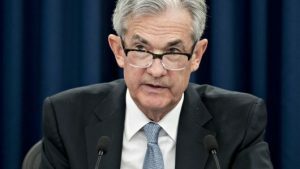 The recent Federal Open Market Committee (FOMC) meeting of Federal Reserve officials made it clear that the Fed is determined to stay on its course of raising rates until the official policy rate reaches 4% in early 2020. As this article shows, the Fed continues to see strong growth and expects inflation, based on the lowest unemployment rate in almost 50 years. But these views are highly misleading. The real reason for Fed rate hikes is to prepare for a new recession. Research shows that it takes about 4% in rate cuts to pull the U.S. out of a recession. How do you cut 4% when rates are only 2.25% (the current level)? The answer is you can’t. If a recession started today and the Fed cut rates to zero, it wouldn’t be enough to stop the recession. The Fed would have to return to quantitative easing, or “QE,” which it used from 2008–2015. In order to avoid that, the Fed is raising rates 0.25% every March, June, September and December until it reaches its 4% goal. Growth is already slowing and the unemployment rate is misleading because it does not include the 10 million able-bodied workers who are not in the labor force. The conundrum for the Fed is what happens if the U.S. hits a recession before the Fed hits its 4% goal, a highly likely outcome? At that point, the Fed will have to pause in its rate hike cycle. The market sees this coming, but the Fed does not. As usual, the Fed will be the last to know.